Here we have another track that has a relevant name. It's called "Steady Pulse" complete with beeps you'd normally hear from a vital signs/heart monitor - how appropriate. As I'm always curious to learn more about things, I decided to find out more on how to read Vital Signs Monitors that you normally find in hospitals. Apparently, basic monitor tend to show heart rate (typically 60 to 100 beats per minute, unless you suffer from a heart condition like hypertrophic cardiomyopathy of course), blood pressure (the systolic pressure should be between 100 to 130 and the diastolic should be between 60 and 80) and body temperature. Advanced monitors can even tell how fast you're breathing (12 or 16 breaths per minute for an adult) or how much oxygen your blood is carrying (95 or higher is ideal. Below 90 could mean your body isn't getting enough oxygen). If you're curious to know more, check out this page on WebMD. 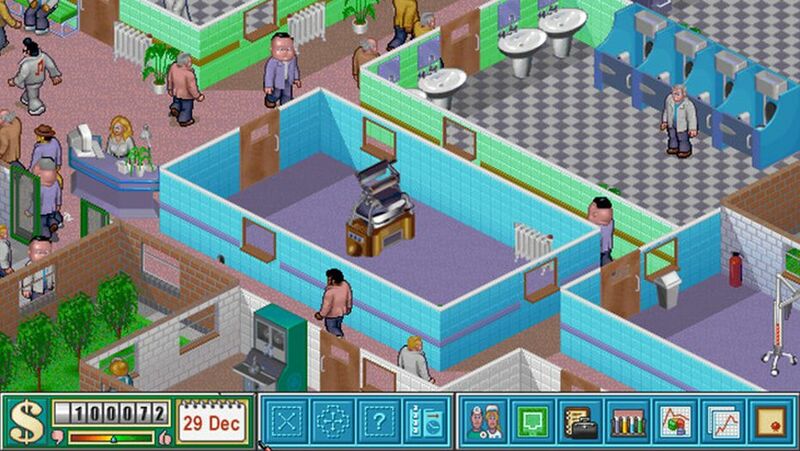 Anyway, that's it from Theme Hospital. Next week, we will be featuring music from another classic PC game of the 90s!